The Shimano Live Release boat figures to get a workout this week at the Potomac River Elite Series. At this week’s Potomac River Bassmaster Elite Series, 107 anglers will steer their boats up and down the Nation’s River in the penultimate regular-season tournament in search of five good bites per day. The rush will be on to gather as many points as possible as the season nears it conclusion. 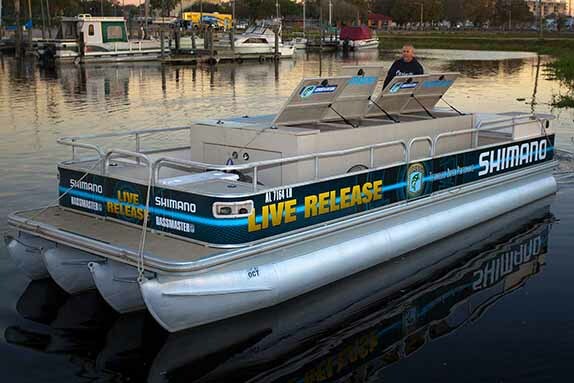 There will be two boats, however, not involved in the competition that figure to garner plenty of attention, too – B.A.S.S.’s two live-release boats that will be responsible for transporting and dispersing all of the bass caught during the event. At most Elite Series events, these release boats operate in relative anonymity. 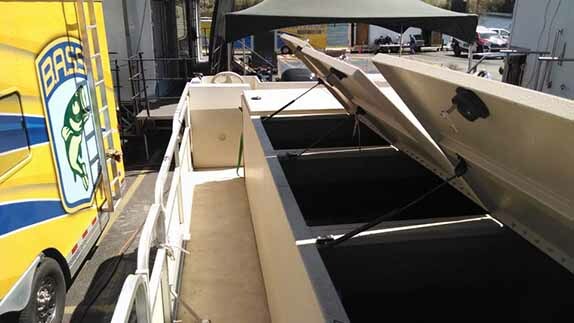 During the weigh-in, the 24-foot pontoon boats are trailered and parked behind the stage. As anglers come off stage, each bag of fish is hand-delivered to the crews on the boats. The fish are removed from the bags and placed in 600-gallon tanks that are equipped with pumps to aerate the water and create an environment that fosters a healthy release back to their native environment. 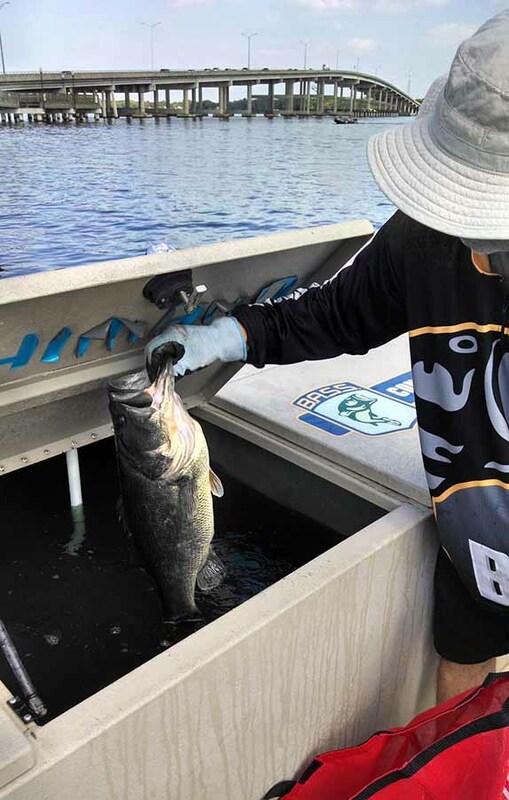 Once a boat reaches 600 pounds of bass (one pound per gallon), it's launched and steered out to pre-determined release spots where the fish are swept through a chute and into the water. Shimano logos adorn both release boats and it seems a natural fit, as the company has been a trailblazer and supporter in the area of fish conservation for decades. Shimano first introduced a live-release boat at a Champion Boat owner’s tournament in October 1990 at Bull Shoals Lake in Arkansas. It was the first release boat of its kind and it’s been a staple on multiple tournament circuits ever since. Innovations and upgrades have made the latest models the best yet since Canadian Tom Brooke came up with the idea in the '80s. The emphasis on fish care will be heightened at the Potomac, which according to researchers has been exhibiting signs of being a fishery in decline in recent years. The memo cited a 3-year downward trend in the black bass fishery that was related to loss of natural habitat brought on by severe tropical storms, which may have led to below-average spawns. As a result, the state announced a slot limit for bass tournaments held on the Potomac between June 16 and Oct. 31, starting this year. The new policy allowed tournament anglers to keep five bass provided each was at least 12 inches long, but during the June-October timeframe, only one could be over 15 inches. The move was part of a multi-faceted effort to reverse the negative trends seen in the bass fisheries of the Potomac River and Chesapeake Bay. It was also mandated by a recently adopted long-term management plan, said Dr. Joseph Love, who serves as tidal bass manager for the Maryland DNR. Upon its release, the memo stirred conversation among local bass clubs and tournament anglers and prompted B.A.S.S. to open a dialogue with the state’s DNR because the slot limit timeframe jeopardized the ability of B.A.S.S. to stage its Potomac River Elite Series event, which had been scheduled since last year. Local anglers panned the state’s directive as reactive and shortsighted. The memo’s release indeed triggered feedback from many angles, said Love, and it prompted the DNR to explore and implement modifications to some of the new rules, especially the slot limit. 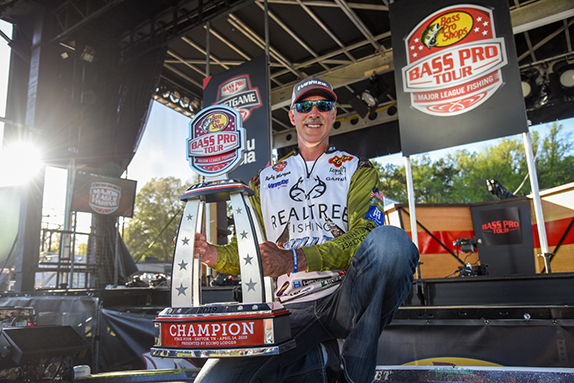 Critics said the new rules could deter bass tournaments – B.A.S.S. and FLW frequently hold events on the Maryland side of the Potomac – and in turn have a negative economic impact on the area. To its credit, the DNR was willing to work with other stakeholders to find a resolution that was acceptable to all. Ultimately, the state modified its original stance and gave tournament anglers and organizations two options on how to proceed with tournaments on the Potomac – one with the slot limit in place and another (Option B, as it’s called) that removes the slot limit provided the tournament organization strictly adheres to a pre-determined set of conditions. The Shimano release boats have 600-gallon tanks that are constantly monitored to ensure the correct amount of oxygen and temperature are maintained. Option B made it possible for B.A.S.S. to carry on with the planning of its Potomac River Elite Series as many of the conditions spelled out already are part of B.A.S.S. tournament protocol, including penalizing anglers for dead fish, operating a live-release boat on site and ensuring fish are kept in water-filled containers prior to and after weigh-in. While the current fish-care system employed by B.A.S.S. meets or exceed the requirements outlined in the final Special Conditions document, the new regulations prohibit the use of culling systems that require piercing a hole in a fish’s mouth, such as the metal clips that are widely used. Competitors will have to use an alternative culling system, such as one with plastic clips, or not use one at all. B.A.S.S. has informed all Elite Series anglers it will impose a fine of $250 per day if they’re found to have used the metal clips. 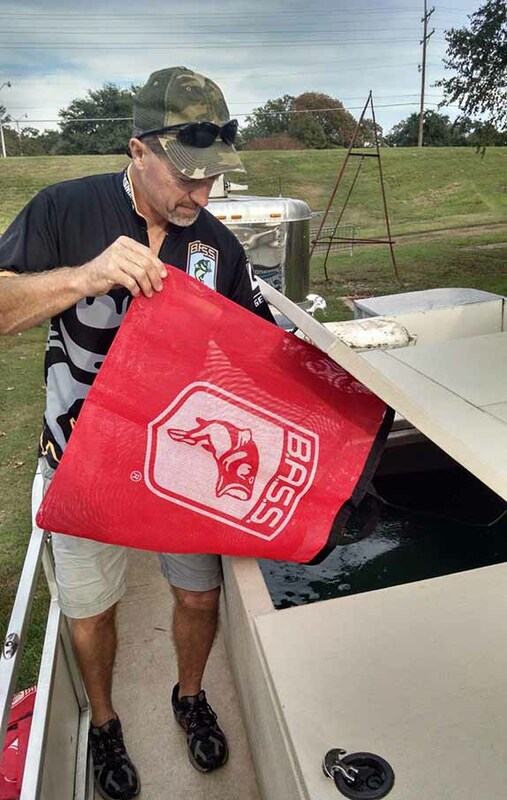 “My message to the anglers is don’t take the risk of having the state pull your tournament permit by not complying with the new regs,” said Trip Weldon, B.A.S.S. tournament director. Even though the Potomac is a shallow-water fishery, the bass can still be susceptible to factors that could impact survival rates, especially when water temperatures are in the 80s as they’re expected to be during this week’s event. 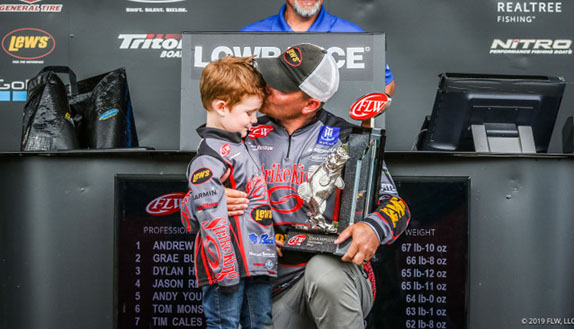 “Even though they’re not fizzing bass, it’ll be hot outside and the fish will be stressed, but this specific tournament has good things going for it,” Love said. Love noted that the lack of co-anglers is a positive as it will allow the competitors access to the entire livewell. “Those livewells are the perfect capacity for these fish and that’s key for this fishery,” he said. He also said many of the procedures B.A.S.S. already follows – staggered flights, aerated tubs back stage and the release boats – will drastically reduce the mortality rate of the fish caught during the event. “It just makes our job easier,” he said. Love said he and/or one of his staffers will be aboard the release boats to get a general feel for the quality of the fish being caught and to assist in any way possible. Gilliland says this week’s tournament can serve as a platform to increase broader awareness of how all anglers can take better care of the fish and fisheries they enjoy. This week, Love and his staff will also collaborate with Gilliland along with Potomac River guide Steve Chaconas and Maryland B.A.S.S. Nation president Roger Trageser on a series of videos that will provide educational content for anglers geared toward conservation. Among the topics covered will be proper livewell maintenance and culling techniques. Oxygen levels and water temperature are the two most important factors in fish care, especially during the summer. Once bass are weighed on stage, they're taken to the release boat and put in a holding tank until the boat reaches its capacity. Every single time a fish is removed from its natural environment – water – it creates a stressful situation for it. Gilliland recalls what tournaments were like before the days of boats with aerated livewells. Phil Morlock and Brooke, both longtime employees of Shimano, have been at the forefront of that mentality. It was Brooke who conjured the idea of a boat with large water-filled tanks on board that would act as release vessels so bass could back in the lakes and rivers where tournaments were held rather than onto a dinner plate. That’s when it dawned on him that something needed to be done or else this would be a pattern that would lead to the downfall of some prime fisheries. When he got back home to Ontario, he started working on plans to construct a boat that could serve as a means to preserve and ultimately release fish caught in tournaments. The initial designs proved to have some faults, but once Quebec-based Princecraft Boats caught wind of Brooke’s project, the company got behind it and built a custom pontoon boat that served as the first release boat. “There have been so many innovations that have come along since that thing,” Brooke said. “We did more than just build a boat and let someone else run them. We learned a lot about the whole process, like where and when and how often to drop the fish. Morlock, who is Shimano’s director of environmental affairs, said the research done by Bruce Tufts, a professor of fisheries and conservation at Queen’s University in Kingston, Ontario, served as a blueprint of sorts for how fish care is handled today. “The research is pretty clear,” Morlock said. “Fish do best when they’re in the water. When we did the research initially, the way Bruce approached it, they looked in detail at every single aspect of what happens to a fish through the whole day. He said fish kept in a livewell are already enduring a measure of stress, but when they’re placed in bags with unaerated water, the risk factors go way up. Through Tufts’ research, Shimano helped develop a water water weigh-in system which set a new standard for fish care at tournaments and has been adopted by several tournament circuits in North America. FLW has used a similar system in the past, but has gone back to weighing fish in bags. Gilliland is ever conscious of how fish-care is managed at the B.A.S.S. events he attends. He’s even timed, on a stopwatch, the amount of time bass are out of the water from the time it’s weighed to the time it’s taken to the release boat. “It averages about 57 seconds,” he said. But he says the focus needs to be more on how fish are cared for during the day rather after they’re brought to shore to be weighed. The research and advances made in fish care make it possible for fish like this to be released and caught again some day. The fallout of the DNR’s memo included the formation of the Black Bass Advisory sub-committee that has been appointed by the state’s sport fishing advisory commission. The new sub-committee will review proposed action plans related to bass fisheries prior to implementation and its recommendations will be forwarded to the department secretary. The sub committee has 12 active members currently, some of whom participated in the Black Bass Round Table panel. Transitioning to the sub-committee will give the group a more formal platform from which to make recommendations and review proposed actions. Love said there are signs already that the Potomac is starting to bounce back, but there is still work to be done. 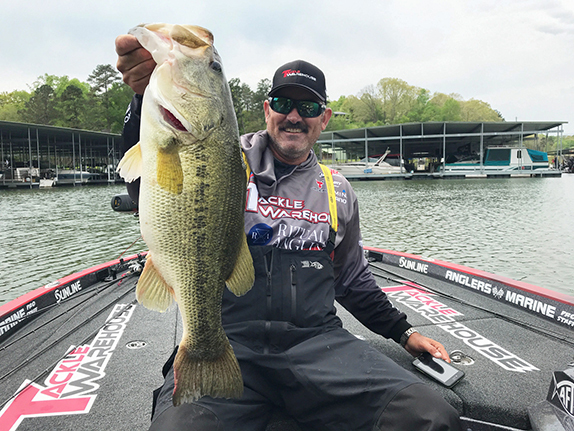 Several Elite Series anglers noted there was more grass throughout the river than they expected to see during the early portion of their practice. Love noted that it’ll be important to monitor growth and recovery of native species of aquatic vegetation. “There have been signs over the past couple years that the fishery is recovering,” Love said. “Anglers have been saying similar things and we’re seeing similar things with our assessments. The fishery is still struggling a bit and we’re still considering management actions that not only will benefit the fishery now, but also 20 to 30 years from now.